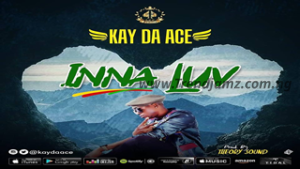 Nigerian Afro Pop singing sensation – Kay Da Ace unleashes the much awaited Audio/Video titled “Inna Luv”. “Inna Luv” is an Afro/Hall song about a lovey-dovey affair by the acclaimed Southside’s supreme Kay Da Ace. “Inna Luv” is available on all digital platforms for streaming and downloads. The song was produced by Theory Sound and video was directed by Kunai Lester (French Riviera). Listen, watch and share your views below.